Derek and Rodney and all their stories are back... only now they’ve been turned into a musical! Relive the United Kingdom’s most legendary series with this revival of John Sullivan’s Only Fools & Horses. His son, Jim Sullivan, and expert comedian Paul Whitehouse are the producers of this 100% British and authentically ground-breaking musical. OK, so maybe the world has changed a lot, but not our lads, they’re still trying to scrape out a living for themselves with all manner of wheeling and dealing and products of dubious origin. But beware: it seems that they’ve learnt to sing and dance when they visit the market… There’s no way you can miss this last story! Derek Edward Trotter (Del Boy) and Rodney "Rodders" Charlton Trotter are two incorrigible brothers. Aged 25 and 35, they live in a council house with their grandfather. Lazy, rather dodgy and tremendously imaginative, their attempts to survive in a London neighbourhood get them into all manner of enterprises of dubious legality but amusing consequences. 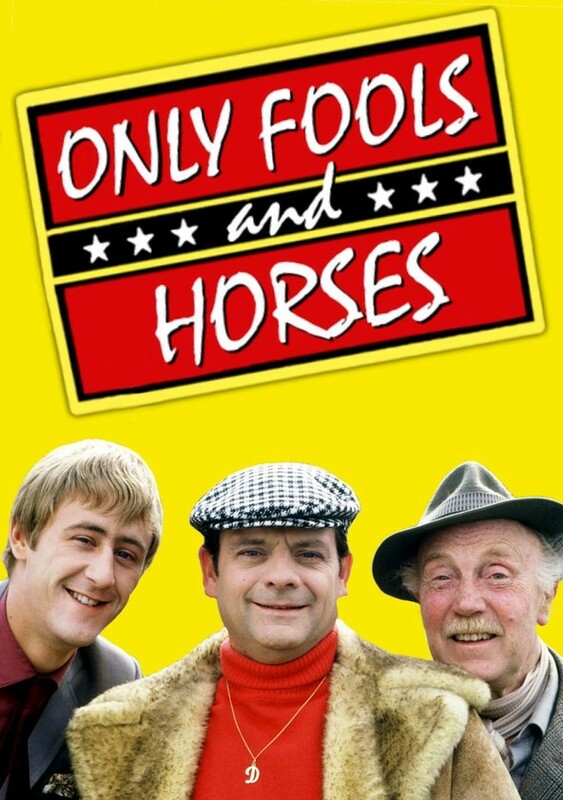 Only Fools & Horses is one of the United Kingdom’s longest-running, iconic and most popularly acclaimed sitcoms. It has made generations laugh down through the decades, and it has marked a milestone in British television. Even to this day, some networks continue airing the series, with more than respectable audiences. The musical will combine some of the most famous scenes from the series with new and hilarious situations. Set in 1989, it will tell us about how Del and Rodney fall in love with Raquel and Cassandra, in a scenario where things are going a bit too fast for them. The first performance is on 9 February 2019, and at the moment shows have been scheduled until 6 July 2019. Stalls: The stalls offer a clear view of the stage and maximum comfort. You can find seats from £77 to £137, if you want, you can even pay for a VIP ticket! This allows you to enter the VIP Oscar Wilde Room (30 minutes before the show and at the interval), where there will be an open bar with champagne and an exclusive programme. Royal Circle: This section also offers optimal visibility and comfort. Prices range from £87 to £125. Upper Circle: The prices in this section vary between £50 and £40. If you sit in the seats at either side you will have to look through safety glass screens. Gallery: This offers the most affordable seats from just £20. However: You have to climb 65 steps and the seats are cushioned benches. Which seats are the cheapest? You can see the musical for only £20, which is the price of the cheapest tickets. They are in the theatre’s Gallery. What days is it cheaper to go on? If you are looking for the most affordable tickets, don't worry about the calendar. Tickets cost the same every day of the week, although they sell out quickly at the weekends. Plan your trip in good time and find the best tickets! Tickets are in great demand; all the first shows have already sold out! And everything seems to indicate that the next batch of tickets for February, March and April will sell out soon as well. If you want to see the Only Fools & Horses musical, don't wait any longer, get your ticket now! Last minute deals: There may be some last-minute offers for this musical every now and again. Stay alert! How can I get to the theatre? The address is Theatre Royal Haymarket, 18 Suffolk Street London SW1Y 4HT, in the heart of London's West End. As it is located very close to the tourist area of Piccadilly Circus, it is perfectly connected by public transport. By Rail: You can get to the theatre by train without any problem. The nearest station is Charing Cross, just a 7-minute walk away. By Tube: The nearest stations are Piccadilly Circus, Charing Cross and Leicester Square. By bus: The theatre is served by the following bus routes: 6, 13, 15, 23, 88, 139, 159, and 453. The nearest stops are Trafalgar Square and Haymarket. Accessibility: Three steps separate the lobby from the street, but access to the theatre is possible through an accessible door. It will open 30 minutes before the curtain rises. The only accessible floor is the stalls (the others are separated from the lobby by steps). Adapted Toilet: Located in stalls. Guide Dogs: Although guide dogs are not allowed into the actual theatre during the performance, theatre staff will be able to look after them. The musical premières on 9 February 2019 in the Theatre Royal Haymarket, one of the most legendary theatres in the West End of London. Show times: There are shows from Monday to Saturday at 7:30 pm, as well as matinées every Wednesday and Saturday at 2:30 pm. (The first Saturday matinée will be on 16 February, the first Wednesday matinée will be on 27 February). The son of the creator of the original series, Jim Sullivan, has taken over the reins of the show and is determined to pay deserved homage to his father's creation. With Paul Whitehouse as an invaluable partner, he has reinvented the classic series Only Fools & Horses, turning it into a musical in one of the world’s leading theatrical scenarios: The West End. Only Fools & Horses Cast: Paul Whitehouse (as Grandad), Tom Bennett (Del Boy), Ryan Hutton (Rodney), Dianne Pilkington (Raquel), Pippa Duffy (Cassandra), Jeff Nicholson (Boycie), Samantha Seager (Marlene), Peter Baker (Trigger), Adrian Irvine (Denzil), Pete Gallagher and Adam Venus (Driscoll Brothers), Chris Kiely (Mickey Pearce) and Andy Mace as Mike the Barman.